Why is Israeli Spy Jonathon Pollard Back in the News? Why Is Israeli Spy Jonathan Pollard Back in the News? Over the past two months, Benjamin Netanyahu has mentioned the fate of jailed Israeli spy Jonathan Pollard six times in meetings with President Obama and Secretary of State Hillary Clinton. The Israel lobby also mounted a letter-writing campaign on Pollard’s behalf. When Pollard was arrested for espionage in the 1980s, Tel Aviv swore he was part of a “rogue” operation. Only 12 years later did Israel concede he was their spy the entire time. That insider espionage by a purported ally damaged U.S. national security more than any incident in U.S. history. During an earlier term as Prime Minister, Netanyahu secured a verbal agreement from Bill Clinton in 1998 to release Pollard. Clinton then faced a rebellion among U.S. intelligence agencies aware of the damage done. Clinton backed down and Netanyahu backed off. Pollard took more than one million documents for copying by his Israeli handler. When transferred to the Soviets, reportedly in exchange for the emigration of Russian Jews, that stolen intelligence shifted the underlying dynamics of the Cold War. What has its entangled alliance with Israel cost the U.S.? The U.S. committed $20 trillion to Cold War defense from 1948-1989 (in 2010 dollars). Pollard negated much of that outlay yet even now Israel pretends to be an ally. Few believe it; many realize the U.S. has been played for a fool. The timing could be a Christmas season plea for clemency after 25 years of imprisonment. Former Assistant Secretary of State Lawrence Kolb now claims the sentence was excessive due to a personal distaste for Israel by then Secretary of Defense Casper Weinberger. 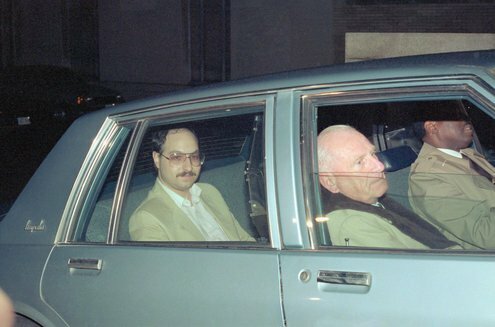 At trial, Pollard claimed he wasn’t stealing from the U.S.; he was stealing secrets for Israel—with whom the U.S. has a “special relationship.” Aware of the harm done by Pollard during the Reagan-era defense buildup, Weinberger pressed for a longer sentence than the prosecution. Even while in prison, Pollard’s iconic status among pro-Israelis may have played a strategic role. Or was it just coincidence that Tel Aviv announced a $1 million grant to their master spy ten days before 911? Is that how Israel signals its operatives in the U.S.? Could that explain the timing of Israel’s latest announcement? Could this news flurry be a signal to pro-Israeli volunteers (sayanim in Hebrew) that another operation is underway? Tel Aviv routinely schedules its operations during political “downtime” in the U.S. The Suez crisis was scheduled for the last week of President Eisenhower’s 1956 reelection campaign. Fast forward to 2008 and Israeli troops invaded Gaza just after Christmas, killing 1,400 Palestinians before exiting just prior to the Obama inaugural. This latest news about Pollard coincides with another political downtime. The U.S. Congress has adjourned and the White House has shut down for the holidays. Plus WikiLeaks successfully removed peace talks from the news and restored talk of war with Iran. If there is another “incident” in the U.S. or the E.U., will the evidence point to Tehran? Islamabad? Damascus? If the U.S. cannot be persuaded to invade Iran, can it be provoked to do so? Stay tuned. Tel Aviv may be growing desperate and for good reason. Israel and pro-Israelis were the source of the fixed intelligence that induced the U.S. to invade Iraq in response to the provocation of 911. Those facts are well known to intelligence agencies worldwide. As with Pollard, Tel Aviv denies it. With Pollard back in the news, anything is possible. Recall how long it took for a confession that he was an Israeli spy. Don’t hold your breath waiting for Tel Aviv to concede its role in provoking its primary ally to pursue a Zionist agenda in the Middle East. Absent the mass murder of 911, would the U.S. now find itself at war in the Middle East? Absent another provocation, Americans are not inclined to expand these wars. At least not yet. Pollard has long been a rallying point for Jewish nationalists, Zionist extremists and ultra-orthodox ideologues. Only time will tell why he is back in the news. And whether this news is a means for moving the U.S. in the right direction.